It is sometimes necessary to stop SSLv2 from running on your server to increase security. Disabling SSLv2 in this way simply forces SSLv3 to take over, which is a much more secure process. To start type regedit in the run/search bar and hit enter. 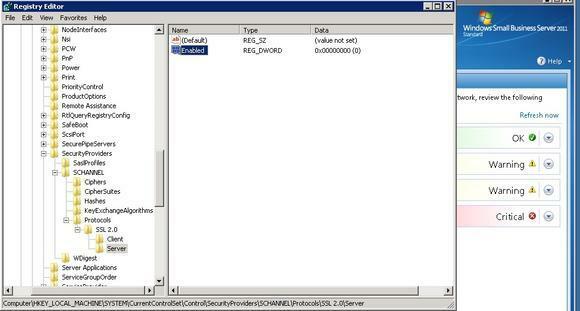 Once the server has rebooted then any SSLv2 calls will simply use SSLv3 instead.